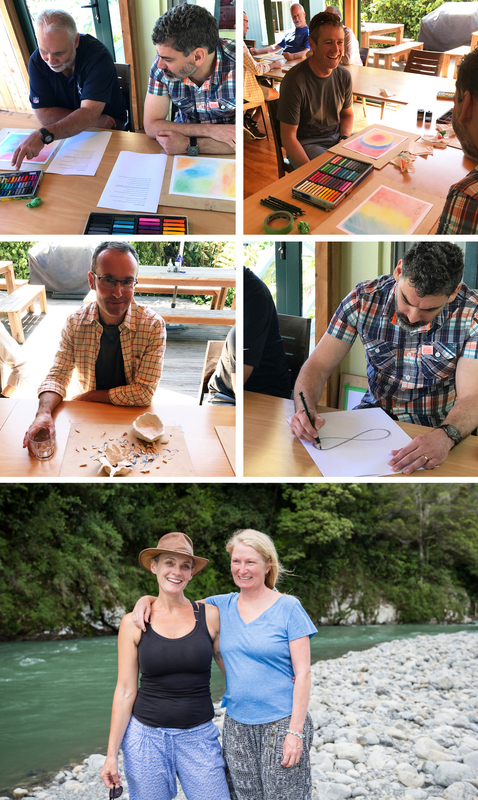 The Alamandria Creative Mindfulness programme offers experiential creative processes that provide a unique approach to self-mastery and mindfulness for your group or team. Our methods extend beyond the typical cognitive-based practices by employing simple artistic processes to cultivate personal awareness, emotional intelligence and social mindfulness. Who am I – Who are you? Managing stress, anxiety and fear. Learning a breathing practice to help calm, relax, concentrate and cultivate inner peace. Corporate leaders, teaching professionals, health practitioners and prison inmates have benefited from Alamandria’s simple and unique creative mindfulness and meditation methods.